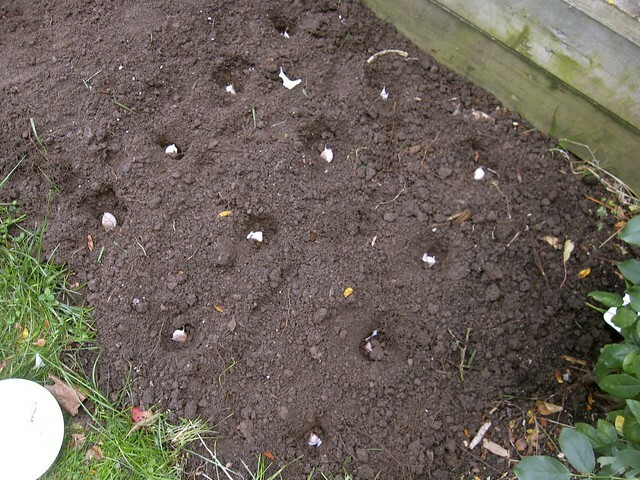 planting garlic | i made it so. 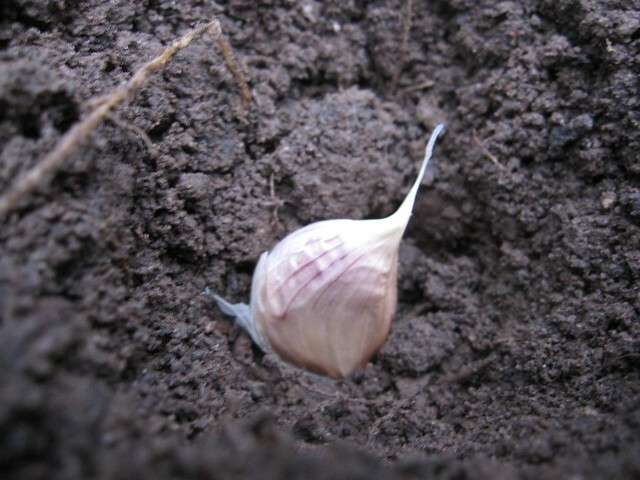 i have never grown garlic, but apparently, fall is the time to get the bulbs into the ground. it makes sense, as most bulbs (tulips, daffodils, anemones, etc.) go in the ground in the fall when the earth is still warm, giving them time to establish their roots. 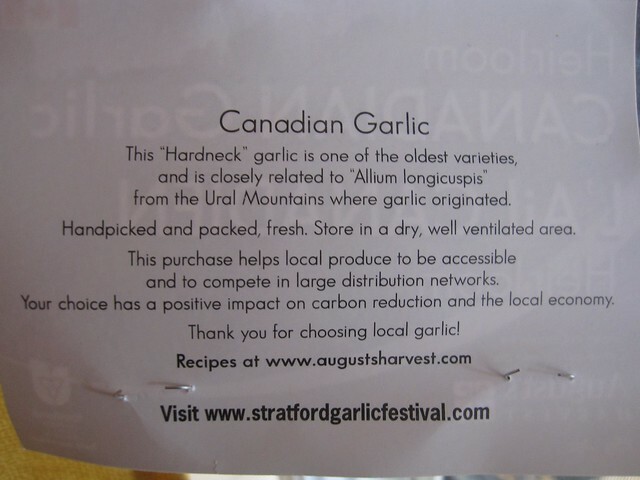 i purchased a package of heirloom garlic from the grocery store. 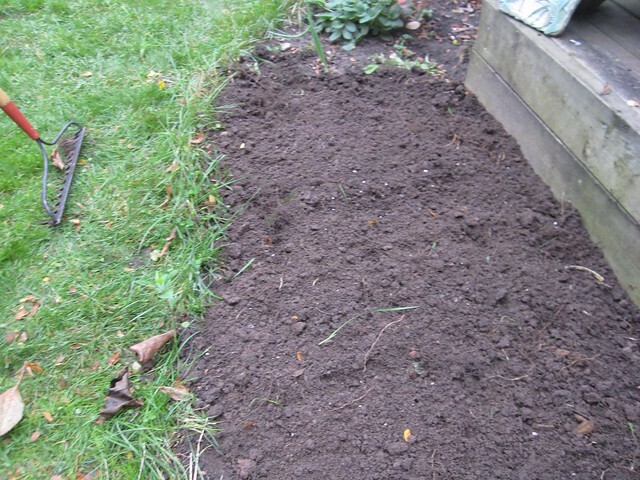 we added some compost to the garden bed, and raked it evenly. it’s not a big space, maybe two feet by four. we spaced the bulbs out, 2 inches down into the dirt, and about 4 inches apart. we planted them with the root side down. same with the spring onions. we then covered them up with dirt and tucked them in tight for the long winter ahead. we also made 2 raised cedar beds for veggies, and made a little spot for composting our leaves. it’s just a small cage made out of chicken wire. we’ll be combining the leaf rot compost with our kitchen scraps compost in the spring, in the hopes of having some good rich soil for growing. i’ll let you know how things grow this spring. 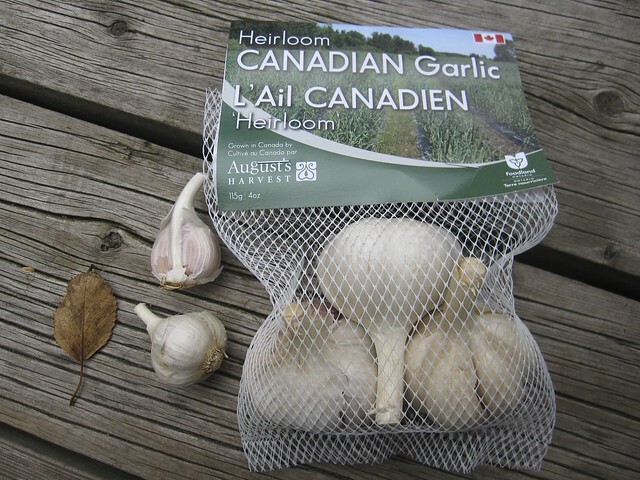 This entry was posted in green thumb and tagged canadian garlic, cracking garlic, green onion, growing garlic, growing heirloom garlic, hard neck garlic, heirloom garlic, how to grow garlic, planting garlic bulbs, scallion, spring onion. Bookmark the permalink. 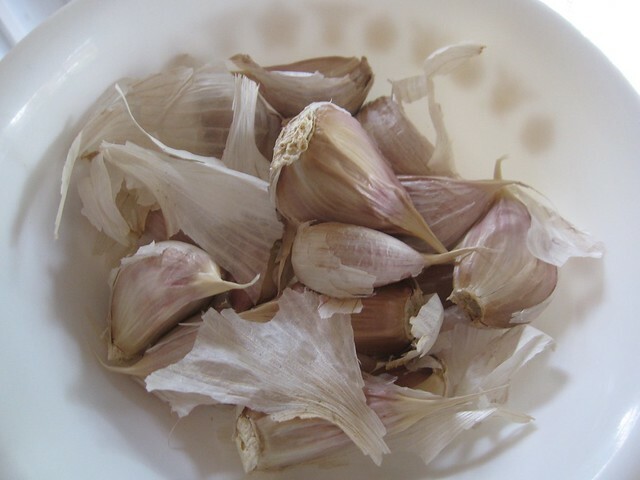 the thought of you harvesting FRESH garlic really makes me smile! Happy November dear Ana ? thanks patty! i Love that you find my dirt inviting :D i hope the garlic and veggies feel the same way. and you must have the most eclectic assortment in your collection! 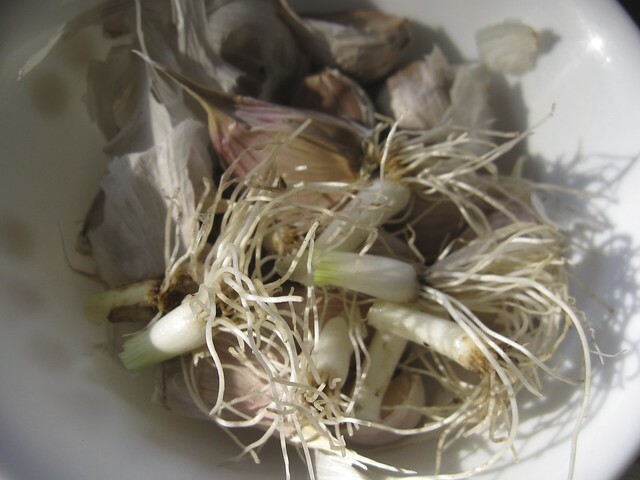 Pingback: garlic & seedlings: spring 2014 | i made it so. Pingback: seedling sale success | i made it so.